2011 - Directed by James Campanella. 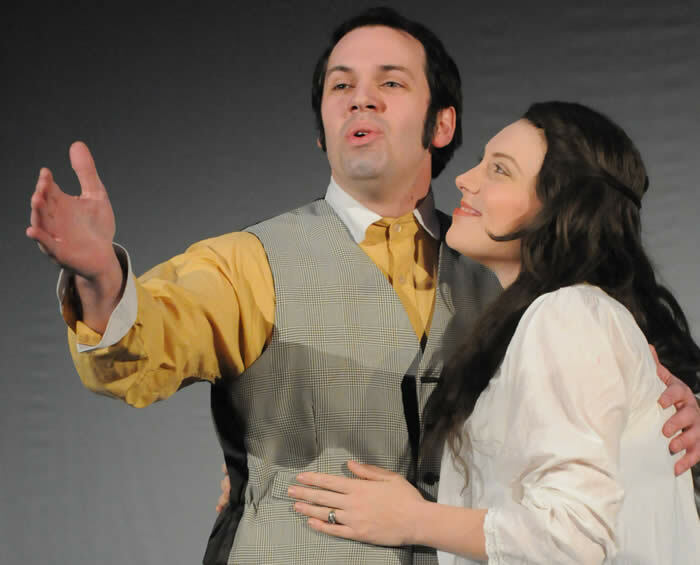 PART ONE The Gift of the Magi, with Alexandra Boule-Buckley as Della and Patrick Philip Becker as Jim (Script adapted by James Campanella and featuring opera songs and traditional Christmas Carols). 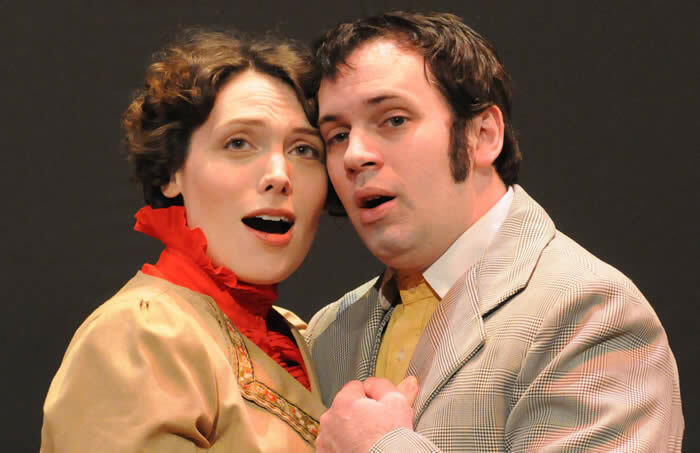 Della & Jim sing about the true joys of Christmas giving (Alexandra Boule-Buckley and Patrick Philip Becker). 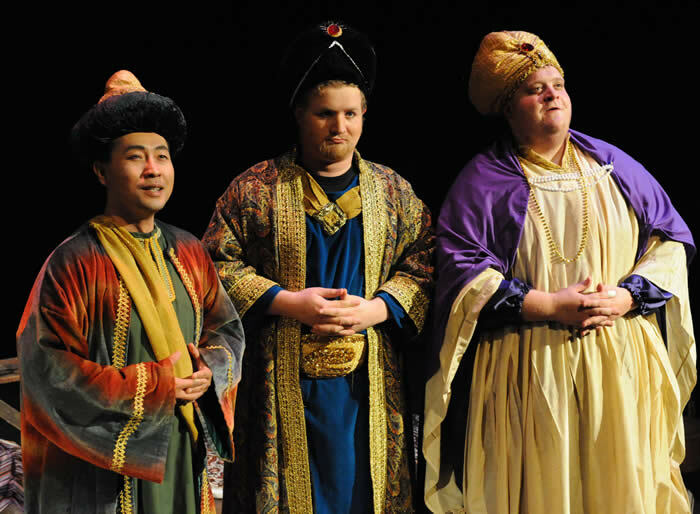 The Three Kings wish Amahl & his Mother good evening (L to R: Jason Moon, Robert Thomson III, Jonathan Hoffman). 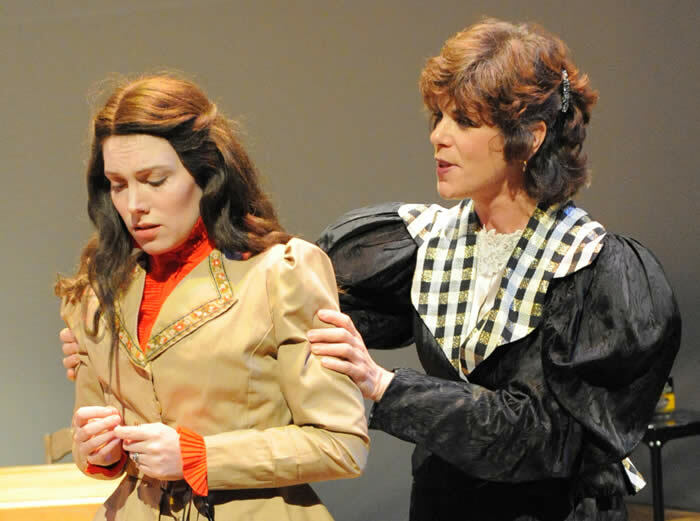 Sofronie prepares to cut Della’s hair (Alexandra Boule-Buckley and Elizabeth Bland). 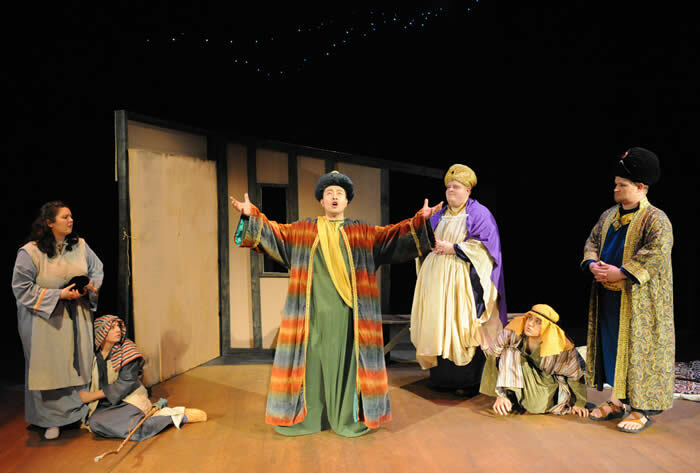 PART TWO Amahl and the Night Visitors. 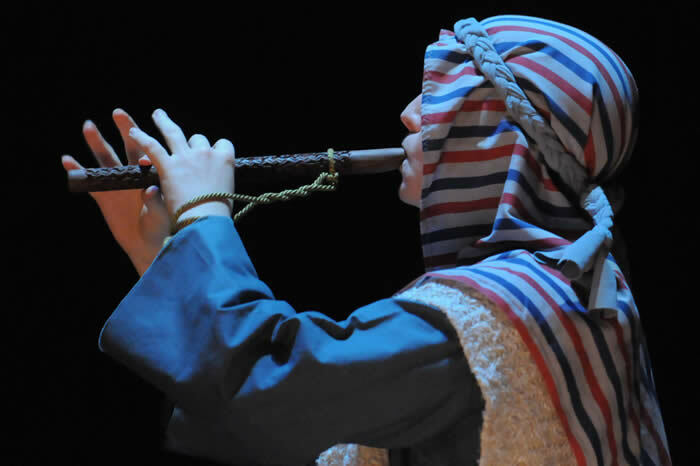 Amahl, the shepherd boy, pipes under the stars (Crossley Hawn). The shepherds dance for the Kings. 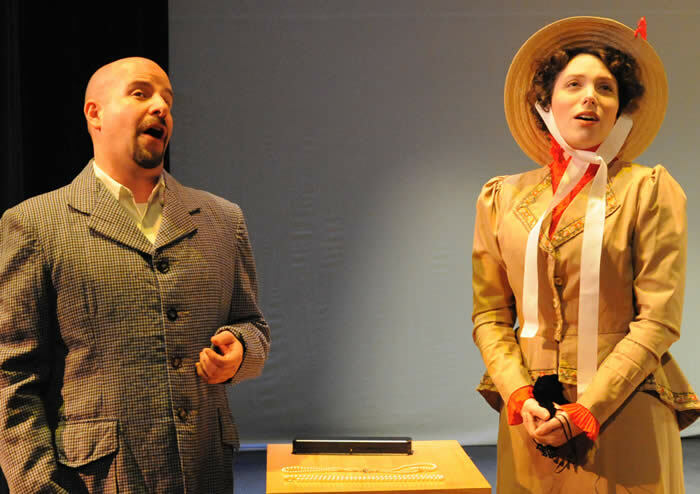 Kaufmann sells a new watch chain to Della (Antony Zwerdling & Alexandra Boule-Buckley). 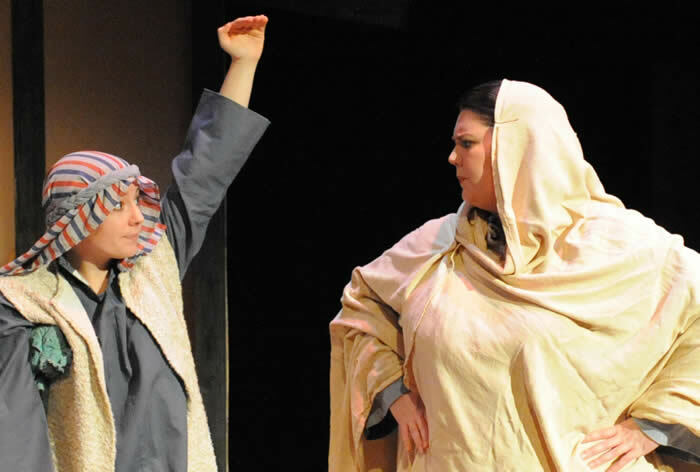 Amahl tries to convince his mother he’s not telling another tall tale (Crossley Hawn & Lauren McDonald). 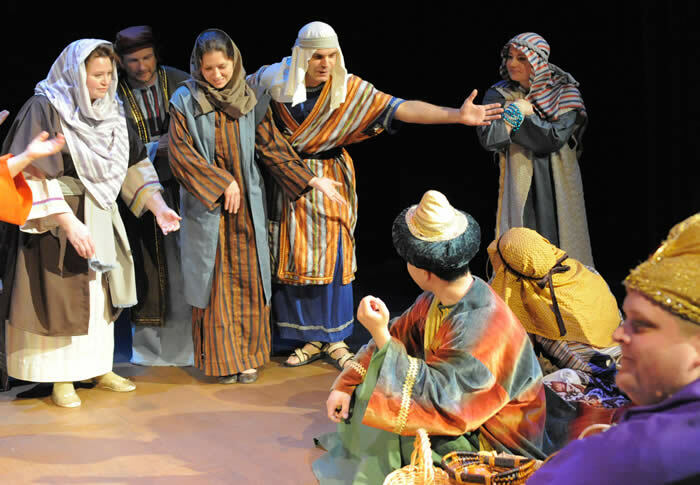 King Melchior speaks of their journey to see the Christ Child (L to R: Lauren McDonald, Crossley Hawn, Jason Moon, Jonathan Hoffman, Nigel Tangredi, Robert Thomson III).